Much of the architecture in and around Las Vegas is stunning, for a variety of reasons. And given the magnitude of the spectacle, it's incredibly easy to miss the people who help make Las Vegas what it is. Here are some construction folks working on what appears to be a building façade. 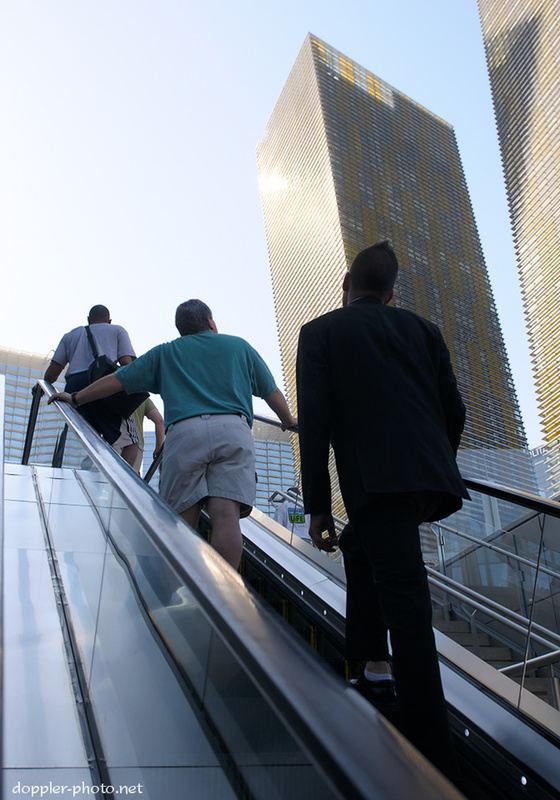 Pedestrians stand on an outdoor escalator as they gaze upward at the Veer Towers in the afternoon sun. 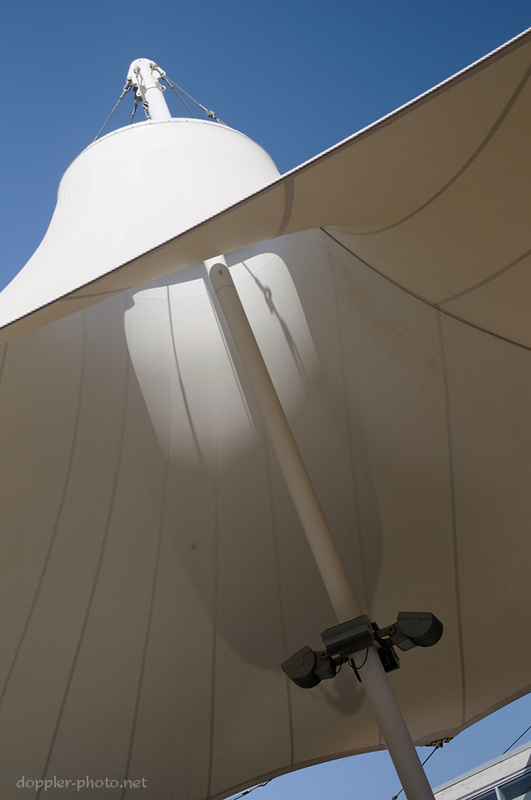 Sun transitions to shadow within one of a multitude of open-centered tents at the Las Vegas Premium Outlets, North. 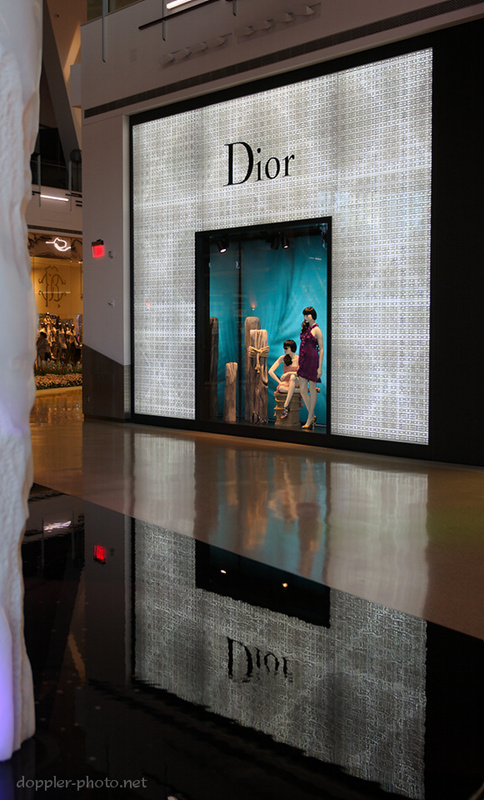 The well-polished floor and a reflecting pool complete the reflection of a large Dior window display, on the lower level of the Crystals shopping center. 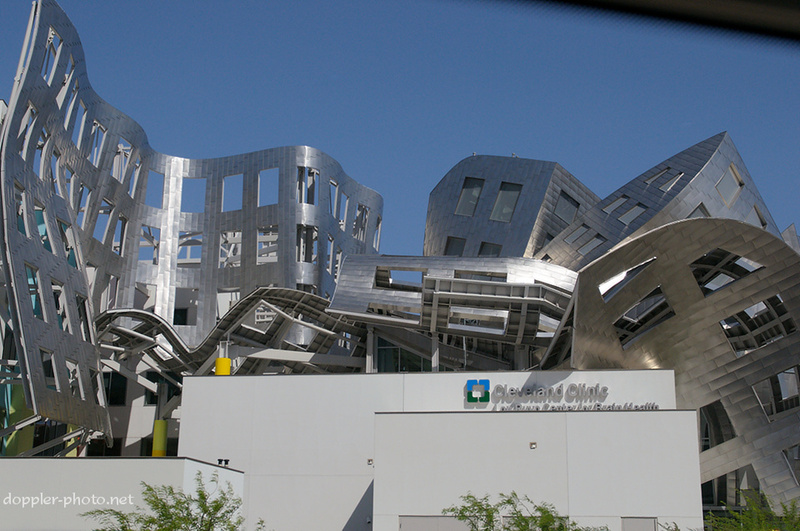 The Lou Ruvo Center for Brain Health appears through a bus window on the way to the outlet mall. The striking resemblance to MIT's Stata Center is no coincidence; both this building and that were designed by well-known architect Frank Gehry.